What an incredible honor and privilege to attend the Grand Opening of the Fallen Warriors Memorial this Saturday (3/24/18). 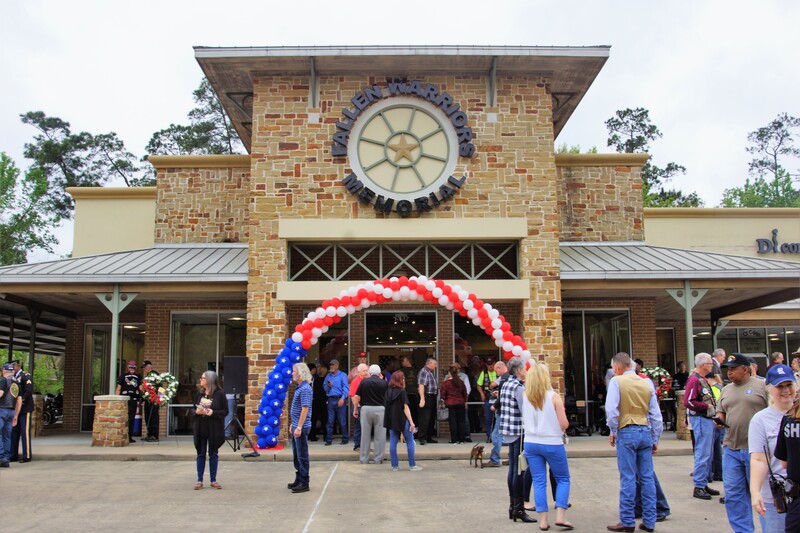 The ceremony was well-attended by Harris County Sheriff’s Deputies, Rolling Thunder, Patriot Guard, The Blue Knights, representatives from the U.S. Marines and Army, countless veterans, community leaders, well-wishers, and the media. I happened to know about the event through a mutual friend of Ken Pridgeon’s (artist and honoree), Don Currie. I met Don Currie a year ago and introduced him to a business friend and art sophisticate Bruce Badeau for a painting that Ken Pridgeon had done of President Trump he created during the pre-election that now hangs in Bruce’s office. Don later introduced me to Ken and it has been an amazing discovery to learn of his mission to create galleries across America for our fallen military killed-in-action in foreign lands. What an amazing man with a vision. We celebrated his resolve and the Gold Star families who attended and were allowed to walk-in first to see their loved ones on the walls of this incredible memorial. Pray for our nation and our men and women in uniform who fight the good fight and for our communities who will never forget their sacrifice. While I was there, I met this lovely couple (pictured below) who lost their son to war. It was an honor to share with them, that because of their leadership and sacrifice in raising such a good young man, our nation was honored to have him on the front lines in our ranks of defenders, that his memory will never be lost, and that others in his circle will make an impact on our nation for greatness. It was wonderful to see our community come together to celebrate the memory of our fallen warriors. 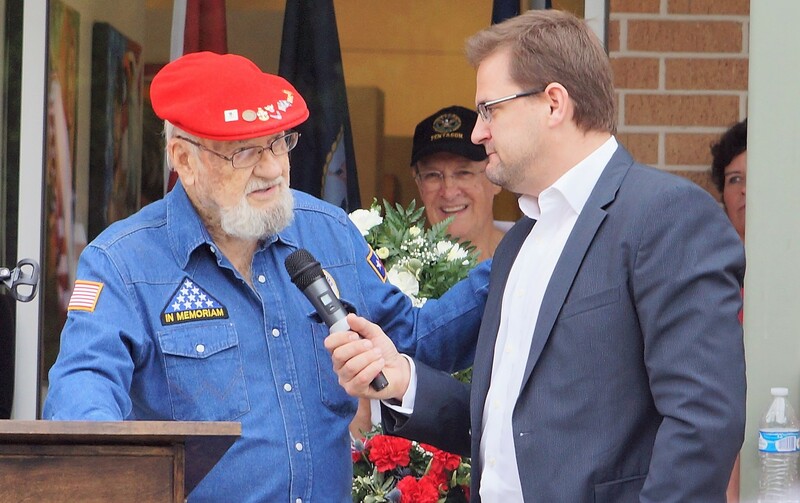 It was especially incredible to see an elder veteran and citizen like Mr. Ken Pridgeon, be so richly blessed and recognized for his tireless effort to ensure that our nation never forgets those who gave all; so that we can enjoy our freedom in America! 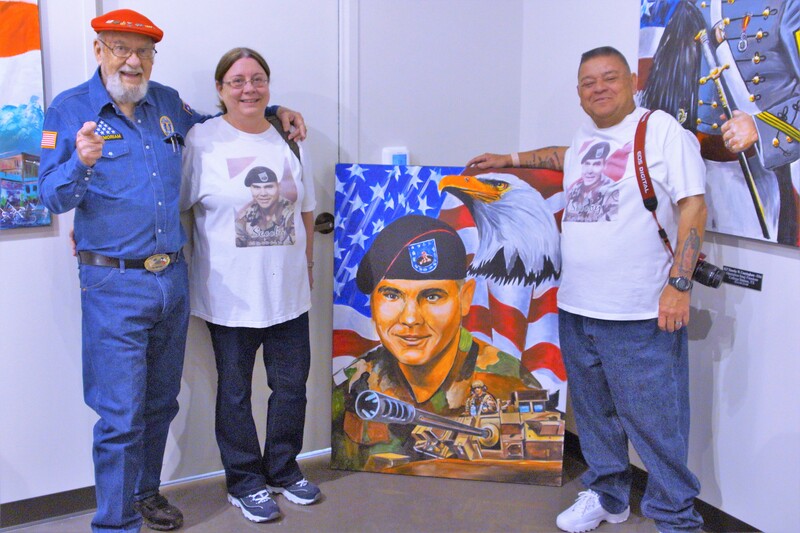 Ken Pridgeon is a man who will not abandon the memory of our fallen and will keep painting until the last shot is fired. CJ Grisham is the president of Open Carry Texas and a retired Army First Sergeant. He has been a defender of liberty and constitutionally protected rights for more than a decade. In 2005, he started the popular military blog, A Soldier's Perspective, which garnered the attention of President George W. Bush and an invite to the White House. His defense of gun rights has made state, national, and international media attention. He is married with three children and lives in Temple, Texas. He is currently working towards a law degree at Texas A&M University. SelfDefenseFund.com is a litigation protection membership covering individuals, families and businesses in regards to personal protection with the use of any weapon in all 50 states, U.S. Territories and Tribal Lands. Up to $1,000,000 in legal fees per member, per incident. In recent years, America has become a more dangerous nation. Every day over 1,800 citizens are robbed; 1,871 women are assaulted; 45 innocent men, women, and children are murdered. Every day you, your family, and everything you care about hangs in the balance. Who is going to protect you? Your home security system does nothing more than sound an alarm. The police only respond after an emergency call. The courts can only find justice after you have been victimized. Only you and you alone have the power to protect the people you love. If you use any self-defense weapon you leave yourself helpless to social, political, and legal persecution.